Here at the North Plains Groundwater Conservation District, our goal is to ensure the well-being of the Ogallala aquifer by working with both District stakeholders as well as those outside the District who are tasked with a similar purpose. Involvement in our Groundwater Management Area (GMA) is just another way we work to serve our District. Legislation passed in 2005 (House Bill 1763) established a framework for regional collaboration among local groundwater conservation district managers on shared aquifers. Most groundwater districts are organized by county, and thus are able to manage only a portion of an aquifer. Districts managing the same aquifer must now coordinate with neighboring districts within their Groundwater Management Area on issues such as management goals and groundwater availability determinations. The state is currently divided into 16 groundwater management areas with our District falling into Groundwater Management Area 1. 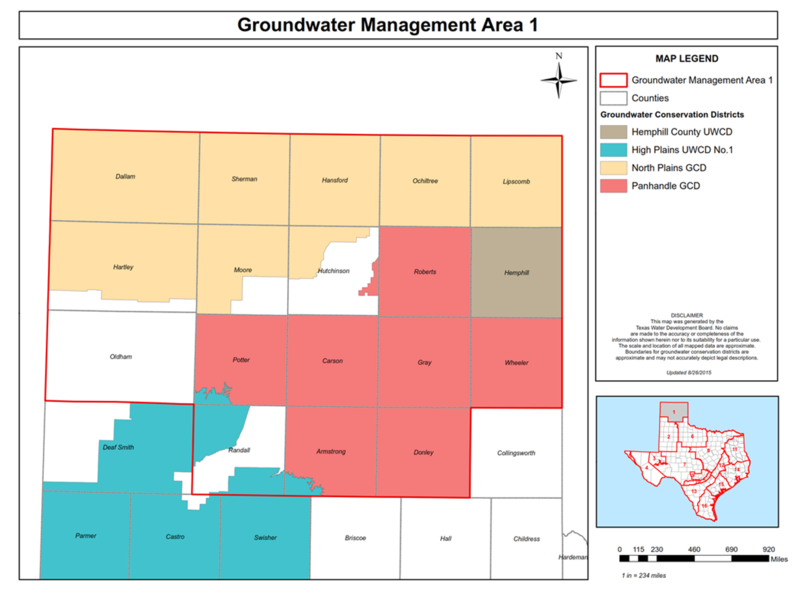 For more information about GMA-1, please visit the Groundwater Management Area section of the Texas Water Development Board website at http://www.twdb.texas.gov/groundwater/management_areas/gma1.asp. For information regarding the GMA-1 Proposed Desired Future Conditions (Considerations), please visit http://www.panhandlewater.org/GMA_Proposed_Documents.html.